Pinkerton agent Garrett Lyons arrives in Chicago in 1882, close on the trail of the person who murdered his partner. He encounters a vibrant city that is striving ever upwards, full of plans to construct new buildings that will "scrape the sky." In his quest for the truth Garrett stumbles across a complex plot involving counterfeit government bonds, fierce architectural competition, and painful reminders of his military past. Along the way he seeks the support and companionship of his friends-elegant Charlotte, who runs an upscale poker game for the city's elite, and up-and-coming architect Louis Sullivan. 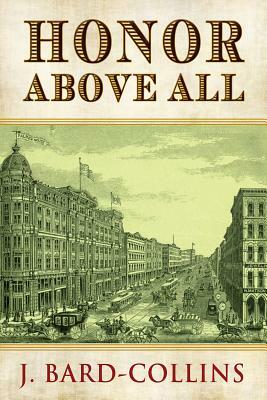 Rich with historical details that bring early 1880s Chicago to life, this novel will appeal equally to mystery fans, history buffs, and architecture enthusiasts.